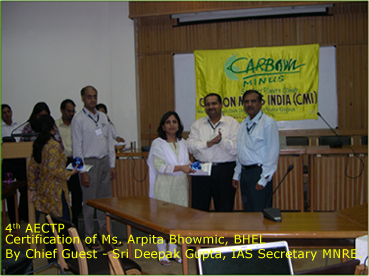 Carbon Management School (CMS) is the first of its kind, attempt of Carbon Minus India (CMI), New Delhi, to introduce popular and demanding Green Course Curriculum, in the management stream (MBA), from various disciplines of developmental science and facet of human-life.We have planned for 6 month post graduate Certificate Courses, one year Diplomas and two years Master Degrees, Correspondence courses and other specialized Training Programmes on Climate Change and Carbon Finance, with a specialization in Renewable Energy, Energy Efficiency, Programmatic CDM - PoA, LULUCF / Forestry / Agriculture Sector CDM, Technology Transfer in Clean Energy Technologies, GHG Monitoring Protocol - ISO : 14064 /65, VER,s Generation and Voluntary Markets , Climate Change Science and Adaptation, Green Building and Architecture, Trading Carbon as an international compliance Commodity, Legal Aspects of CDM and ERPA, Energy Management Systems, Energy and Water Audits, Carbon Foot Printing, CEOs in Carbon Trading and Mandatory Carbon Markets and International Climage Change Negotiations etc. etc. Environmental Issues / Climate Change. Delegates will be assessed on the basis of result of the Objective Type written Examination. Successful Delegates will be awarded a Merit Certificate and a Permanent Registration No. on successful completion. This Permanent Registration No. 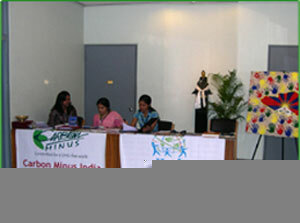 is the Identity, which provides the participant a status of a part of the CMI’s family. On successful completion, each candidate will become a member of CMI’s Carbon Finance Advisory Team, and will keep receiving further updates and a part of its’ valuable network. All Cheques, DDs & nominations should be sent to Office Secretary, CMI , on the address above. Excellent Reference Study Materials will be made available for the courses, which have been taught. Some important reference Soft Copies will be offered free along with Training CD. Lunch, and 2 times Tea / Coffee with Cookies will be served. CMI reserves the right to reject an application without any explanation, or in exceptional circumstances, may request even a registered delegate leave a training programme (at a minimum of 24 hours notice) if, in the opinion of the Course Director, - trainee’s continuance, would not be in the best interest of other delegates. The medium of the Programme will be in English. 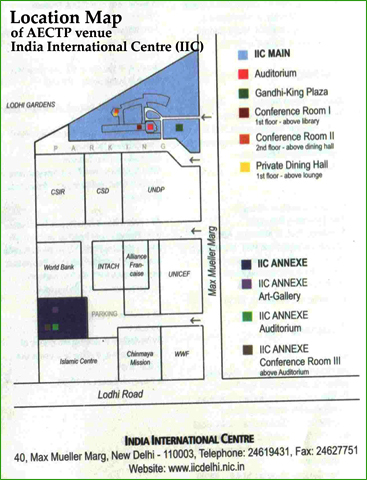 and Other Credible Visiting Faculties, from Government of India Officials, World Bank, UNDP, IIMs, reputed MNCs, DoEs, Law Firms and Leading Exchanges of India etc. the Economic Analysis and Publications Division. He is responsible for analysis ofmarket data and informing the participants and policy makers of the benefits of - commodity futures - in India. trading & climate change from due diligence to evaluation of projects for buying, banking and facilitating structures of carbon credits, not only in india, but also at international scale as a carbon credit buyer. occupational heath and safety management system. Prior to TUV India he was heading Environment Cell at Honda Motorcycle and Scooter India Pvt. Ltd. Gurgaon. He is a leading global auditor validator in carbon space. Tetrachloride (CTC) Phase-out project, under the Montreal Protocol and the Clean Development Mechanism (CDM) projects under the Kyoto Protocol. She is a regular visiting faculity to all the AECTPs of Carbon Minus India (CMI). transactions, M&As, sharepurchase, business collaborations etc. and apart from providing legal & strategic advice & documentation. She is the Convener of IICLAM of National University of Singapore and Coordinator of SAARCLAW. (CPU) of GTZ -The Deutsche Gesellschaft für Technische Zusammenarbeit (GTZ) GmbH or German Technical Cooperation. His expertise lies in structuring carbon credit transaction models, negotiation and concluding ERPA with project developers in india. sources. He has also been lead author of Handbook on Climate Change Mitigation published by Bombay Chambers of Commerce and Industries. Lokesh has joined TUV Nord at New Delhi recently, where he is advising forestry and LULUCF sector CDM. Ravi Ramaswamy received his M.Tech from the IISc, Bangalore and M.B.A from the University of Phoenix, USA. He has worked over last 22 years in the IT domain. He has worked in various capacities for TCS, Hewlett Packard, IXOS software and most recently with, Wily Technology heading their Professional Services Division worldwide. After 14 years in the USA he has moved back to India and settled in Bangalore. 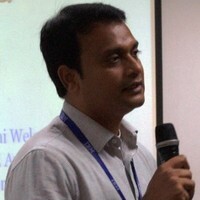 He started a consulting organization, eVARA Web Technologies and has done project for Computer Associates (India) over the last four years. He founded 2-GREEN Technologies, which will assist industries to combat carbon emissions This could be through the Clean Development Mechanism or Voluntary Emission Reductions (VER) route. 2-Green Technologies can also provide advisory services for such organizations to calculate their carbon footprint and become carbon neutral. 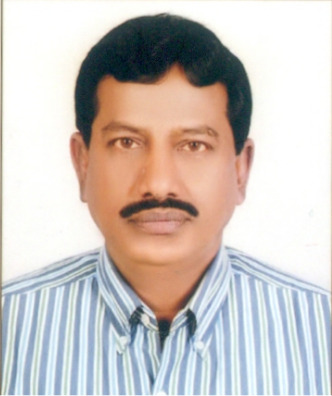 Dr. Unna Chokkalingam is a researcher in the field of forestry. 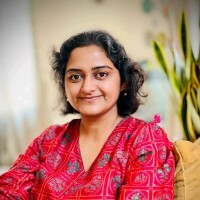 She obtained an MBA from the University of Madras and then went on to do her MS and Phd in forestry in Northeast USA. She then worked for seven years as a scientist in the Center for International Forestry Research (CIFOR), Bogor, Indonesia. In that time she led and implemented numerious forestry research projects on topics such as secondary forests, forest fires, and rehabilitation of degraded forest lands across Indonesia, China, Philippines and other parts of Asia. Now she moves onto working as an independent research consultant in the field of forestry, livelihoods, climate change and related topics. She has authored and/or co-authored 57 scientific publications in the last 8 years. international commidity and sucessfully monitising the same. I will greately recomend AECTP for desirious knowledge seekers as the only oppertunity to get into carbon trading in developing countries. " 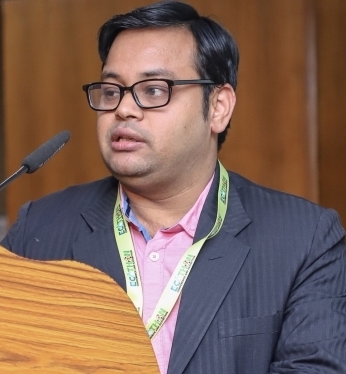 Dr. P. S. Dutt, is currently Deputy Director and Head, Business Development Unit at National Environmental Engineering Research Institute (NEERI), Nagpur; a national CSIR laboratory. He obtained he is a Gold Medalist B.Tech in Civil Engineering from JNTU, Hyderabad and M.Tech from Indian Institute of Technology, Chennai Fellow in Human Settlements and Environmental Management at Indian Institute of Management, Bangalore. Dr. Dutt is an eminent scientist of international repute. I have safely returned to my Institute. Thank you very much for a wonderful training program, which is quite professionally rich and unique in it's own way and particularly your hospitality is greatly appreciated. Hope, many more such specialized training programmes would come up in future in enhancing our professional edge so that our work is in right direction and make India, Carbon Minus from all angles. Group Photograph - 1st AECTP on 1st August 2008 at IIC, New Delhi. Each AECTP ends with a Group Photograph as its last event, after the Examination and Certification in it's last day, before all departs. 1. National Thermal Power Corporation (NTPC) Ltd.
3. Oil and Natural Gas Corporation (ONGC) Ltd.
8. Power Grid Corporation of India Ltd.
18. Mines & Minerals Trading Corporation (MMTC) Ltd.
22. Central Road Research Institute (CRRI), New Delhi. 24. Central Mechanical Engineering & Research Institute (CMERI), Durgapur. 54. Hindalco Industries Ltd. Hirakud, Sambalpur and others.